It is now appreciated that conventional cell culture techniques are not the most physiologically relevant way to grow cells or the optimal way to harvest biologics for production. Cells grown on nonporous plastic dishes suffer from uneven nutrient distribution and constant disruption during passaging. Furthermore, the use of serum is not physiologically relevant, and lot-to-lot variations in serum composition and quality can also affect cell culture results. Given this, there is currently tremendous interest in 3-D cell culture systems. 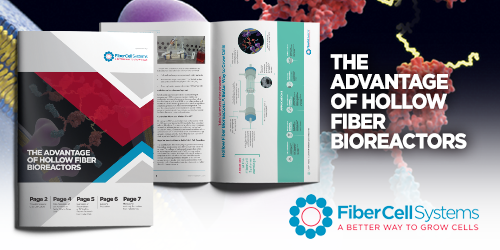 The hollow fiber bioreactor (HFBR) is a high-density continuous-perfusion culture system consisting of a cartridge containing thousands of semipermeable hollow fibers in a parallel array within a tubular housing fitted with inlet and outlet ports. HFBRs offer a unique environment for a more in vivo-like cell cultivation and cell co-cultivation, supporting the continuous control of oxygenation levels, medium composition, and drug concentration.